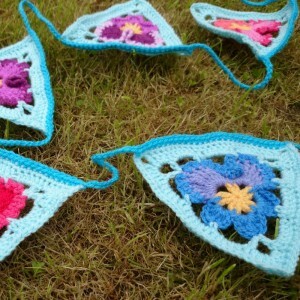 I had originally hoped to use the triangles in this bunting to make my Pansy Pizza with. 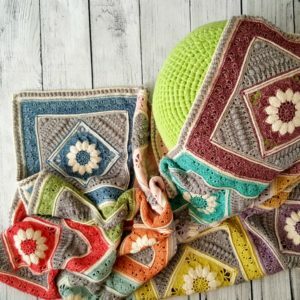 Unfortunately, I am still not completely happy with how the finished Pansy Pizza looks, so you will have to wait a little bit longer while I tweak the triangle pattern. In the meantime, feel free to make this Pansy Crochet Bunting. 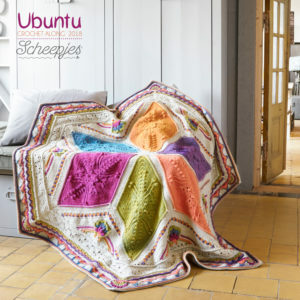 This is a dribs and drabs design, by which I mean that it is not a stand-alone pattern. If you intend to follow these instructions offline, please make sure that you also save the instructions for the crochet pansies, which you can find HERE. 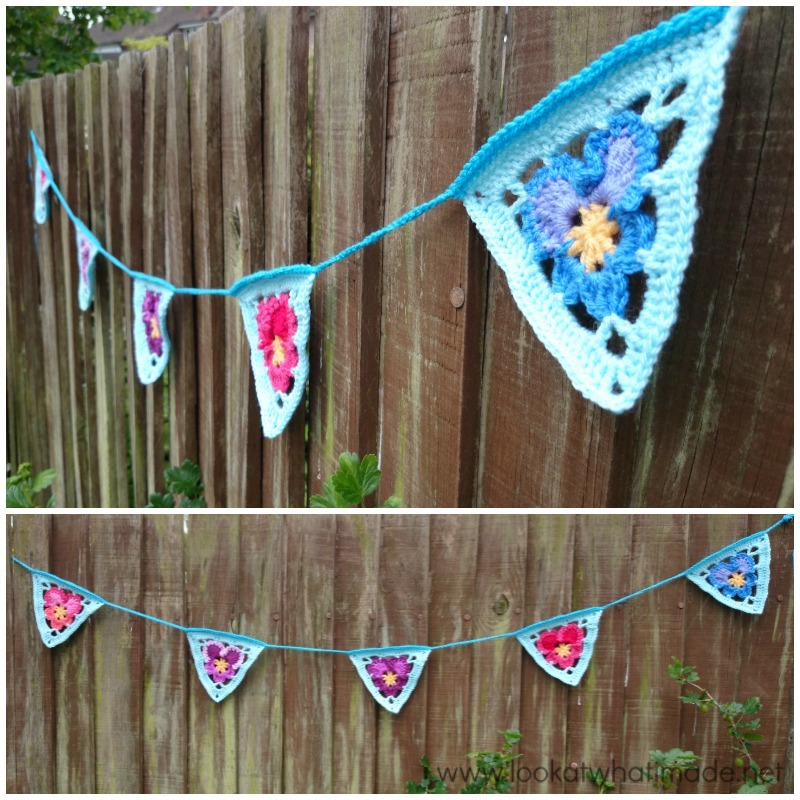 Following the photo tutorial below, make as many Pansy Triangles as you want/need for your bunting. 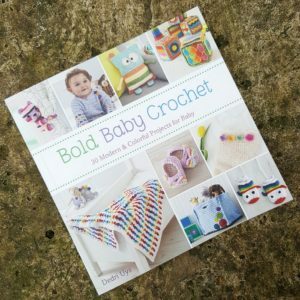 Then follow the instructions at the bottom of this page to create the bunting. If you would like to add leaf-like bobbles to your bunting, you will find additional instructions at the end of Round 1. 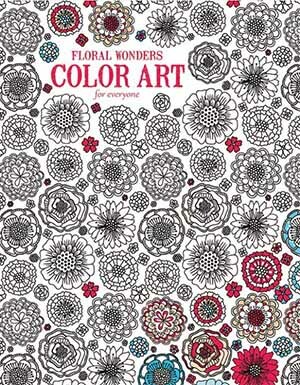 If you would like to print this pattern, you can find a print-friendly button at the bottom of this post. You can then remove any images you do not want to print by clicking on them. 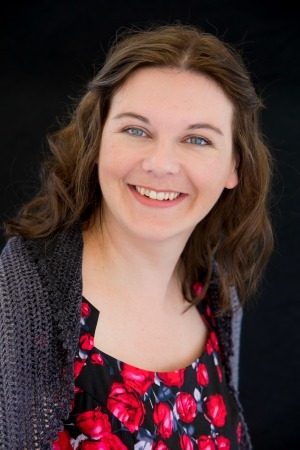 If you would like to save this pattern to your Ravelry Queue, you can do so HERE. 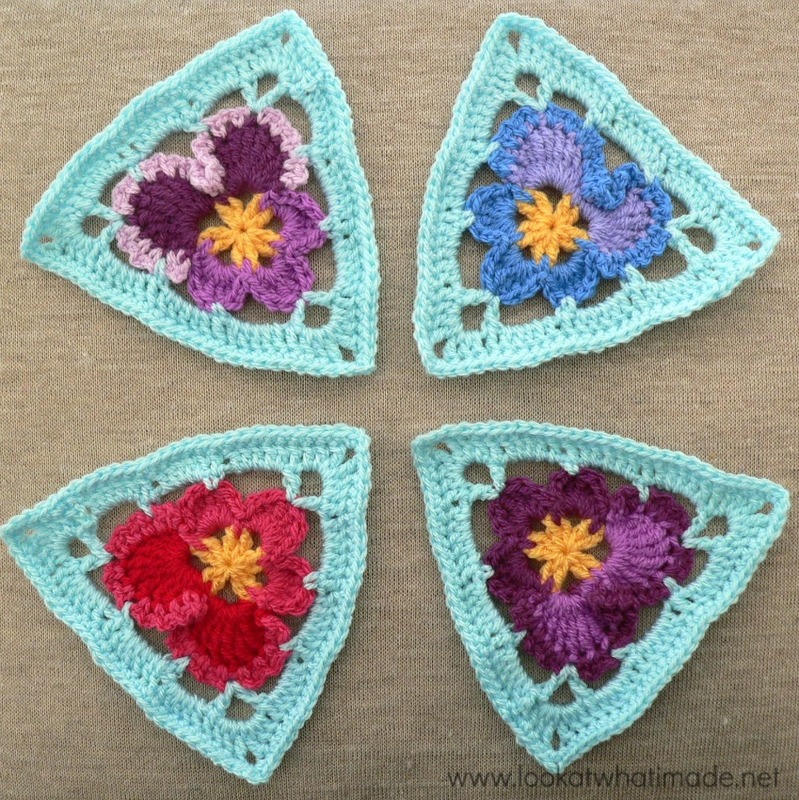 Double knit yarn in 1 (or 2) colours for the triangles and 3 colours for the pansies. 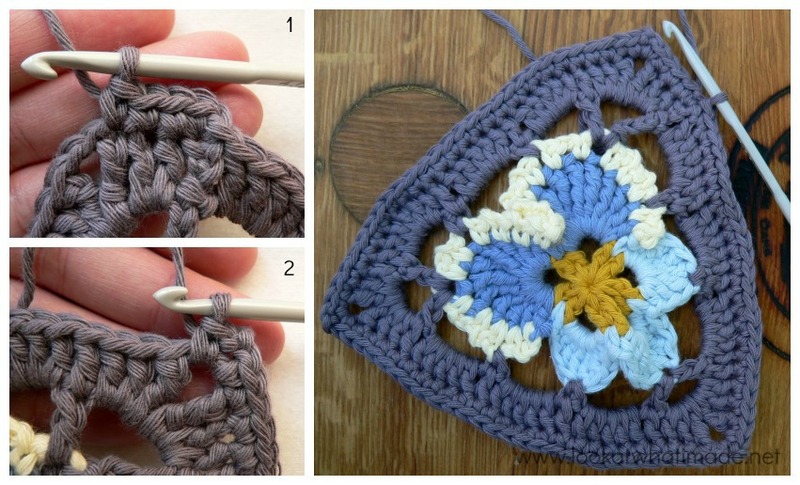 Bobble Stitch : You will only use this stitch if you prefer to add tiny leaves to the three corners of your triangle. This is essentially a dc3tog in the same stitch. 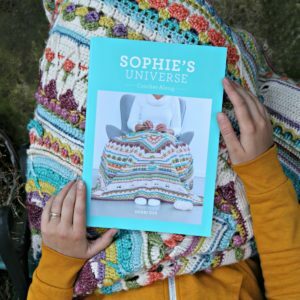 You can find the photo tutorial for the bobble stitch HERE. 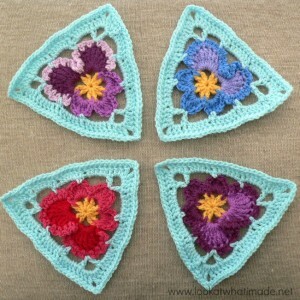 Before you can make the triangles for the bunting, you will have to make some pansies. 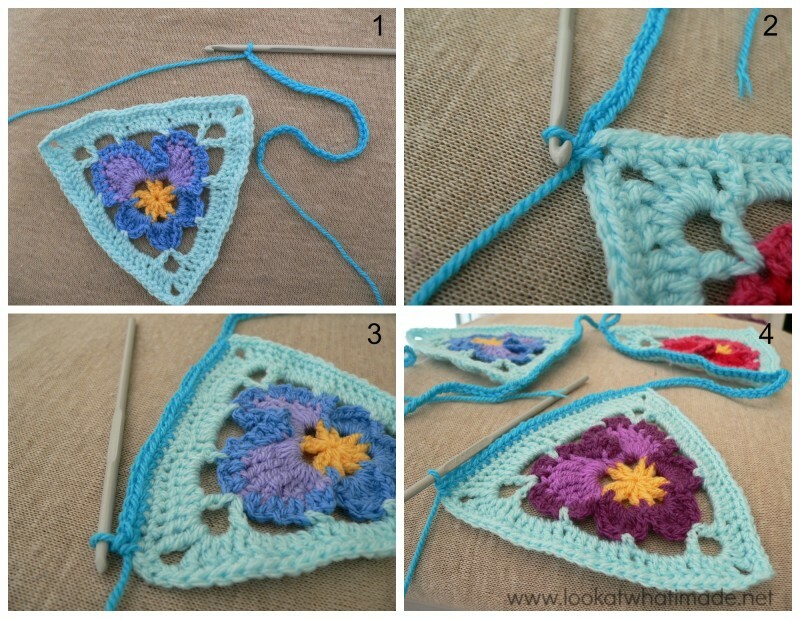 Following THIS PANSY PATTERN, make a pansy for each triangle you are planning to make. 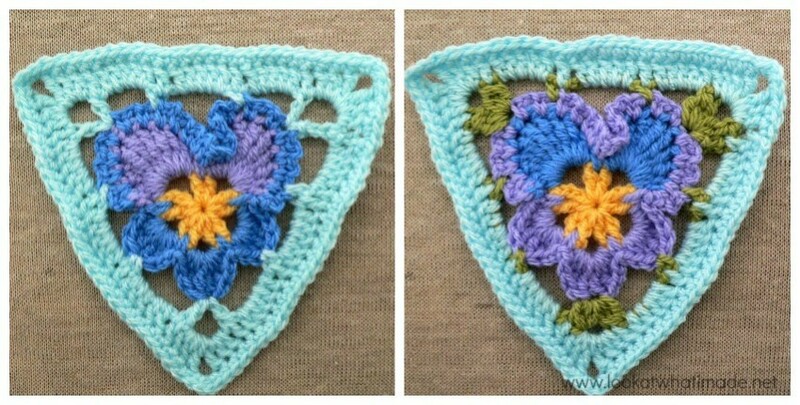 Once you have made your crochet pansies, continue on below. Join your new colour with a sl st in the 5th ch-2 space of the first large petal of your pansy (Photos 1 and 2). Ch 8 (counts as first dc and ch-5 space) and dc in the same ch-2 space (Photo 3). Ch 5. Skip the next ch-2 space and sc in the next ch-2 space (Photo 4). Ch 5. Skip the next 8 ch-2 spaces and sc in the 9th ch-2 space (Photo 5). Ch 5. Skip the next ch-2 space. (Dc, ch 5, dc) into the next ch-2 space (indicated with an arrow in Photo 6 and illustrated in Photo 7). Ch 5. Skip the next 2 ch-2 spaces and sc in the next ch-2 space. This sc should fall in the second-to-last ch-2 space of the second large petal (Photo 8). Ch 5. Sc in the 5th st of the first small petal (in other words, the third tr). See Photo 9. Ch 5. (Dc, ch-5, dc) in the 5th st of the next small petal (in other words, the third tr). See Photo 10. Ch 5. Sc in the 4th st of the last small petal (in other words, the second tr). See Photo 11. Ch 5. Sc in the 2nd ch-2 space of the first large petal (Photo 12). Ch 5. Join to the third chain of the initial ch-8 with a sl st (Photo 13). If you would like to make little bobble-stitch leaves in the corners, replace the beginning ch-3 with a First Bobble Stitch (Photo 1). 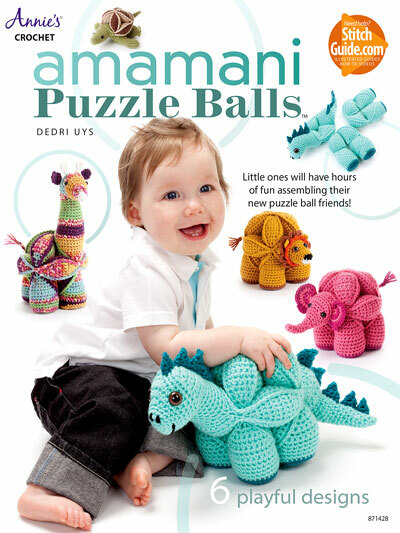 Replace all the dc’s in this round with a Subsequent Bobble Stitch (Photos 2 and 3). 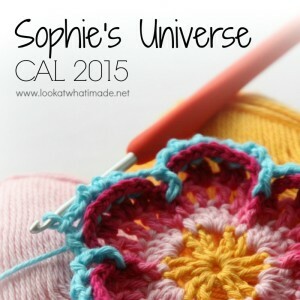 You can find the tutorial for the Bobble Stitch HERE. Ch 3 (this counts as your first dc). *(2 dc, tr, ch 2, tr, 2 dc) into the corner ch-5 space (Photo 1). (Dc in the next st – see Photo 2 – and make 5 dc’s in the next ch-5 space – see Photo 3) three times (Photo 4). Dc in the last st before the corner space* x 3. On the last repeat, omit the very last dc. 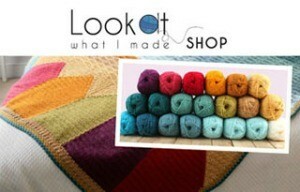 Join to the top of the beginning ch-3 with a sl st.
Ch 1 and sc in the same stitch. Sc in the next 3 st’s (Photo 1). *(Sc, ch 2, sc) into the corner ch-2 space (Photo 2). Sc in each of the 25 st’s across* x 3. On the last repeat, omit the last 4 sc’s. 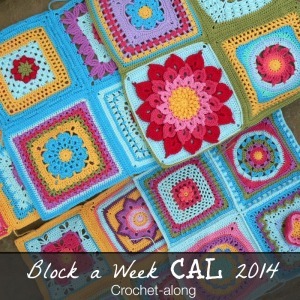 Join to the first sc with a sl st and bind off. 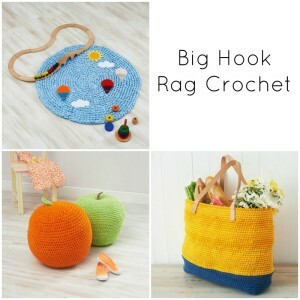 Work away your tails of yarn. Chain 20 and add the next triangle by repeating the instructions between asterisks above. Do this until you have added all your triangles (Photo 4). When you have added the last one, chain 40 again and bind off. As always, you are welcome to make (and sell) as many of these as you wish. All I ask is that you credit me as the designer if you make anything using this pattern. The rounds starts with: Ch 8 (counts as first dc and ch-5 space). The first 3 chains of the ch-8 counts as your first dc and it is those 3 chains that you will replace with a first bobble stitch. So you would make a First Bobble Stitch and ch-5 instead of chaining 8. I hope that helps. I love the pansy pattern. 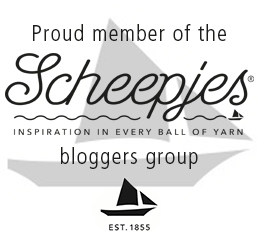 Thank you so much for sharing this lovely design! I love this – reminds me of tibetan flags actually! 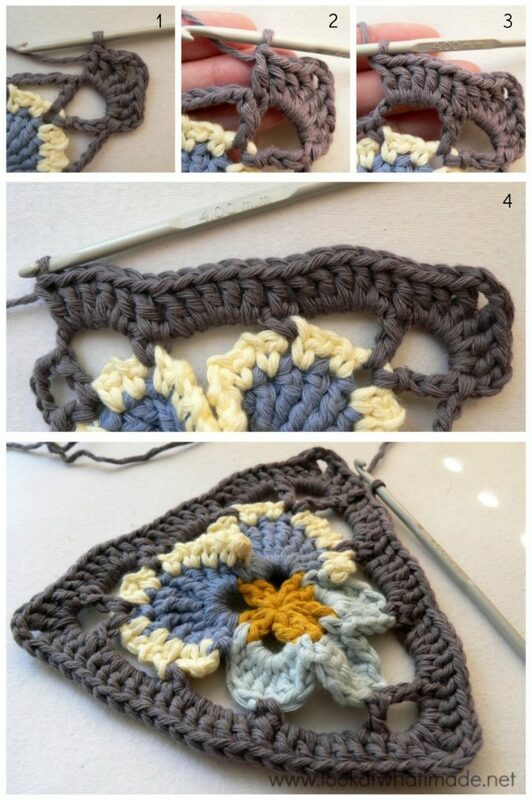 – and I learnt the English name of this flower – these crochet flowers are so cute! Fabulous, what a beautiful pattern. Thanks so much for sharing. Thank you, Jacky :) I hope you get time to make some.